Good afternoon everyone! 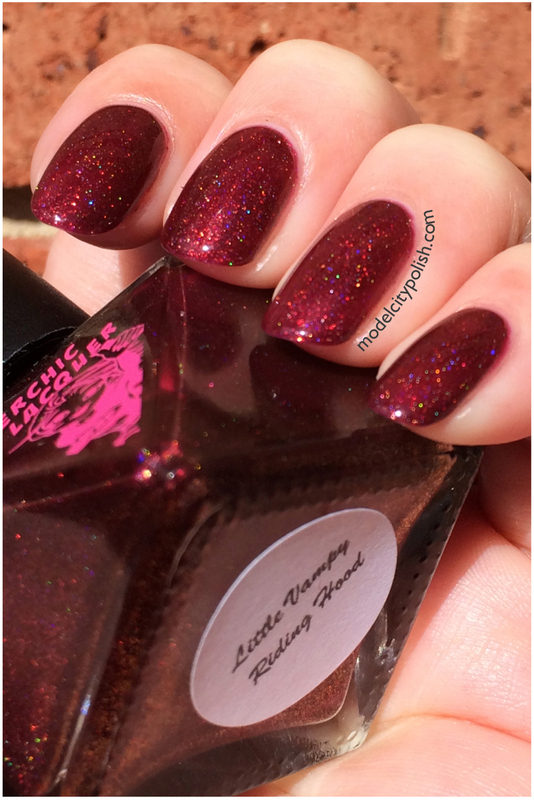 I am back today with the second half of the new Into the Woods Collection from SuperChic Lacquer. 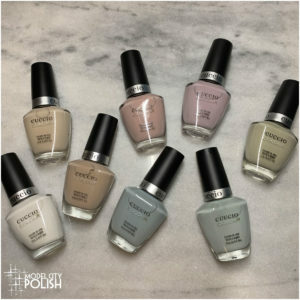 This is a fabulous collection that consists of 10 shimmery Fall inspired blends that you are sure to love. If you missed yesterday’s post, please check it out. 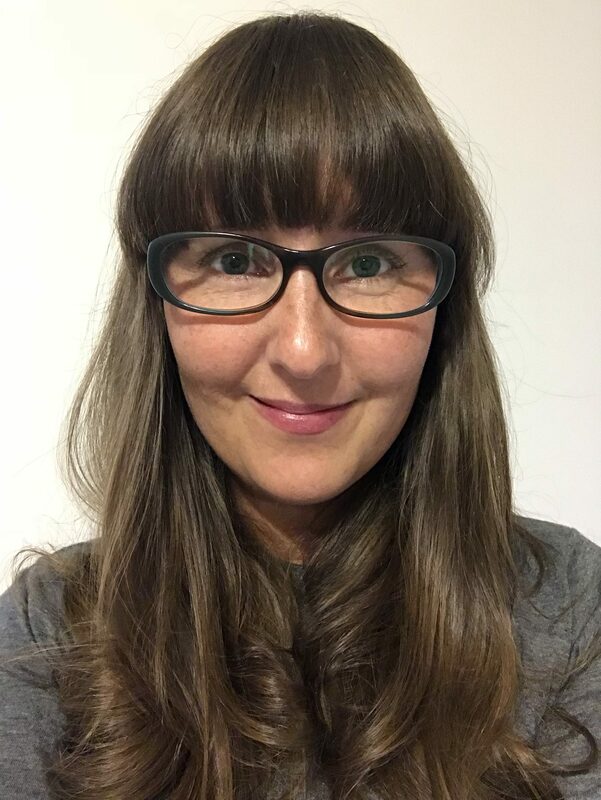 First up today is Let Your Hair Down & Take a Selfie. 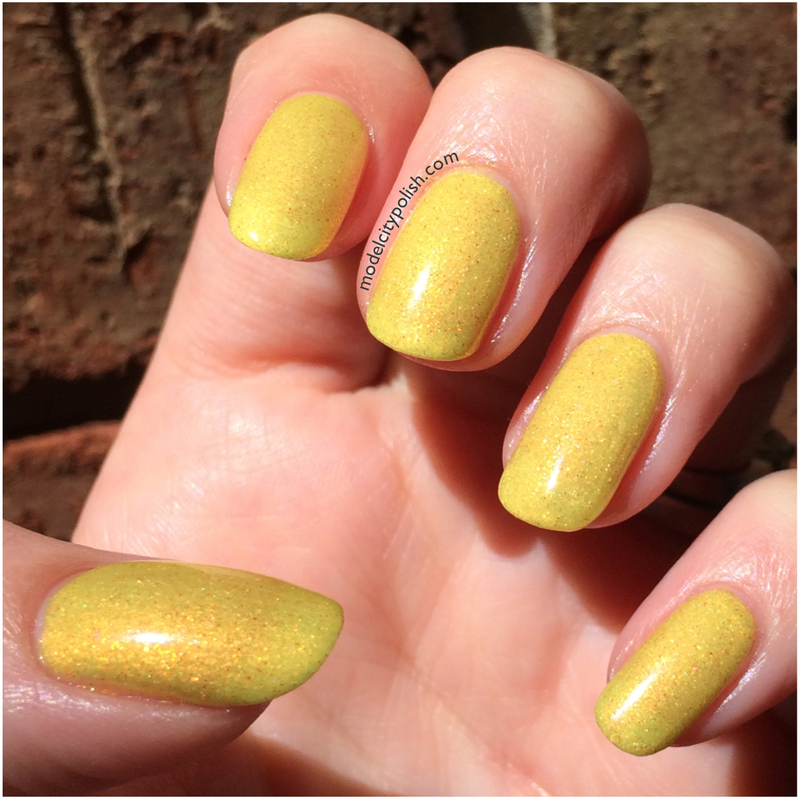 This is described as a vibrant golden yellow base with strong fiery-copper iridescent, subtle holographic and brilliant red shimmer effects. 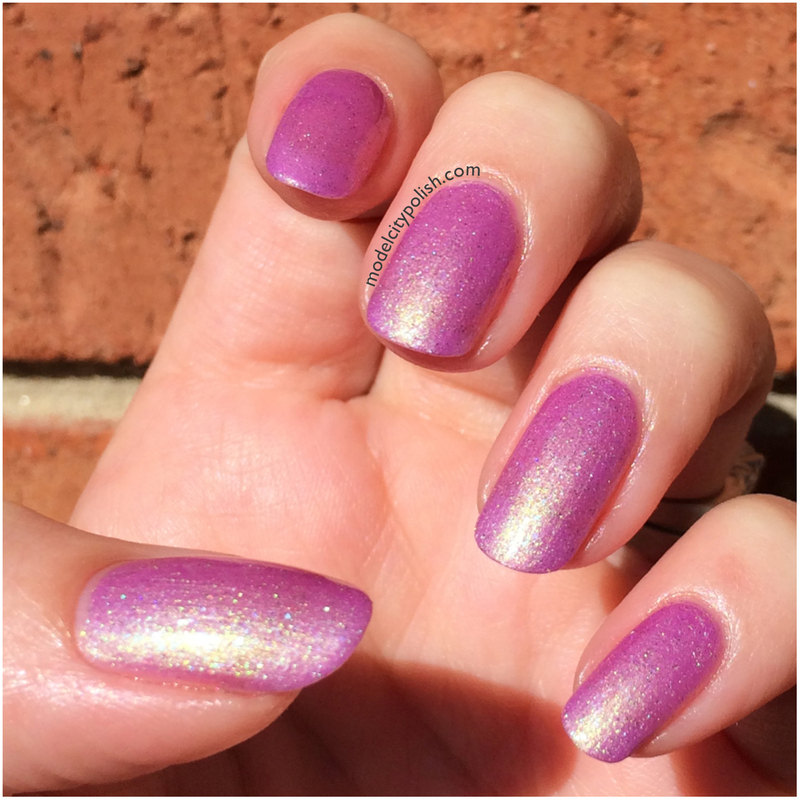 Application was smooth but you will need to layer multiple coats or over a base color to prevent visible nail line. 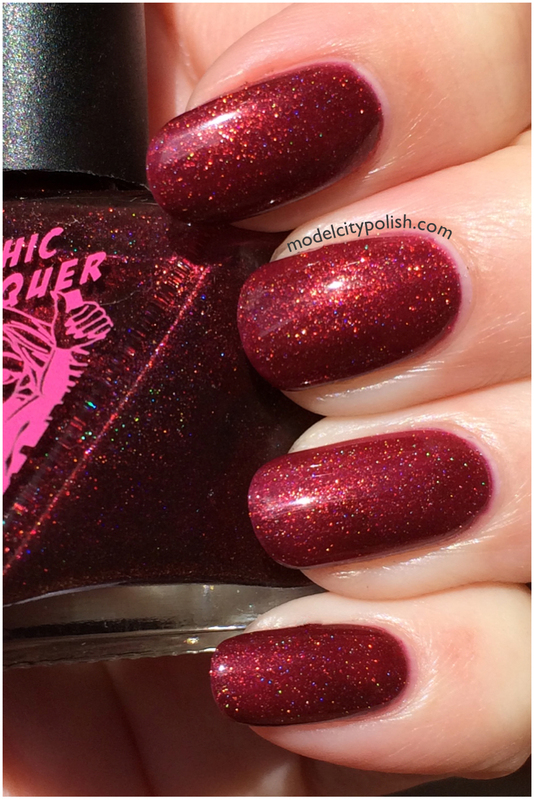 That being said, I do think this a fabulous color for fall. 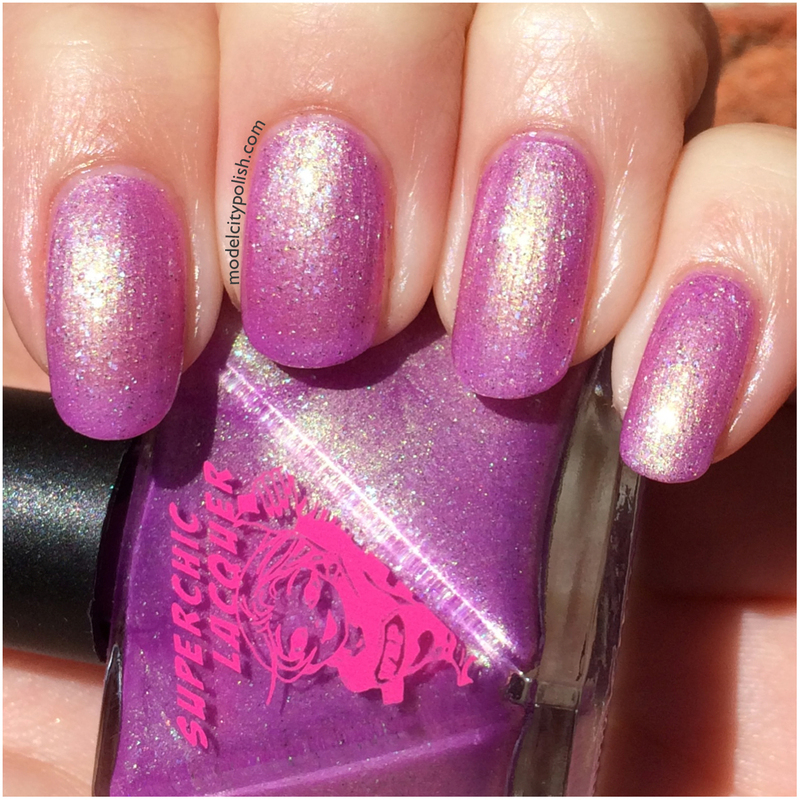 In my photos I am wearing four coats of Let Your Hair Down & Take a Selfie and one coat of Marvel Top Coat. Next up is You Don’t Know Jack About My Beans. 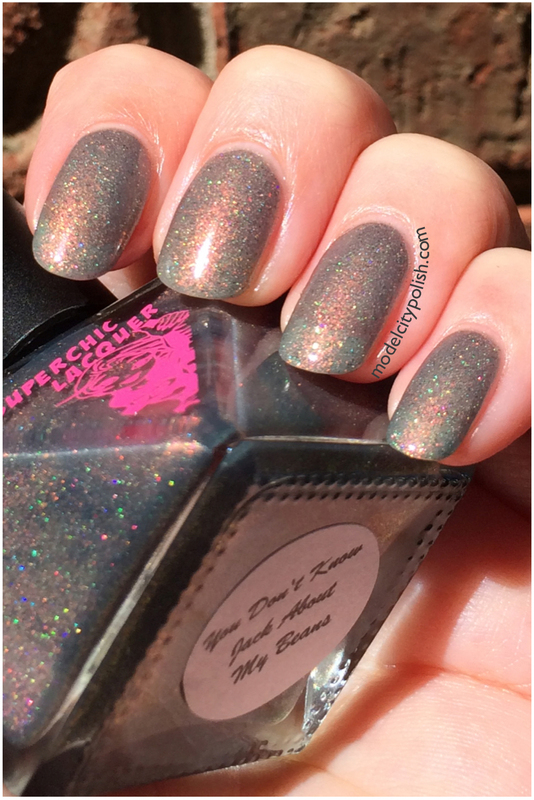 This is a lush artichoke green with strong contrasting fiery iridescent, holographic, and green shimmer effects. 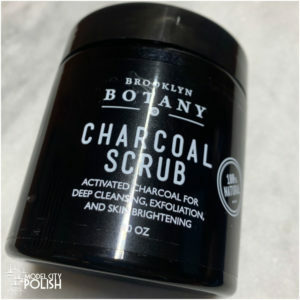 Application was smooth and the formula was super easy to work with. You will need to layer or apply over a base coat to get a solid finish. 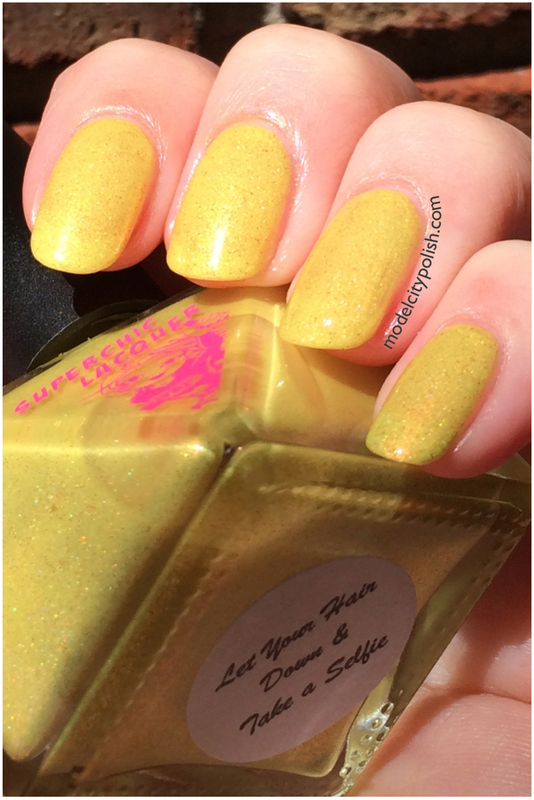 In my photos I am wearing four coats of You Don’t Know Jack About My Beans and one coat of Marvel Top Coat. Now for If the Golden Slipper Fits. 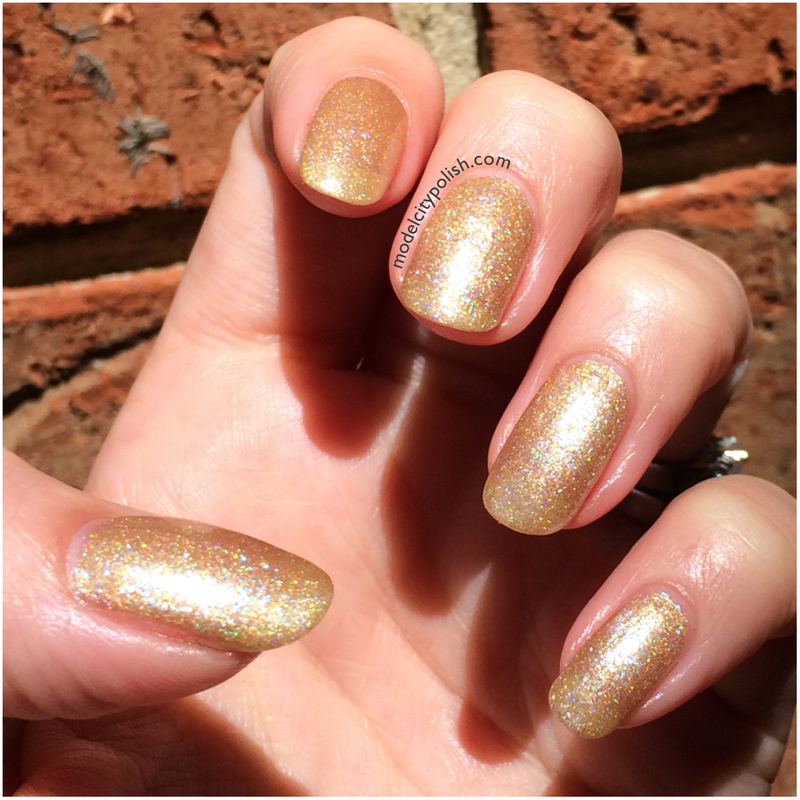 This is the purest gold metallic base adorned with strong blue iridescent shimmer and holographic effect. This one has a super pretty finish that is sure to pass any strict work environment limitations. 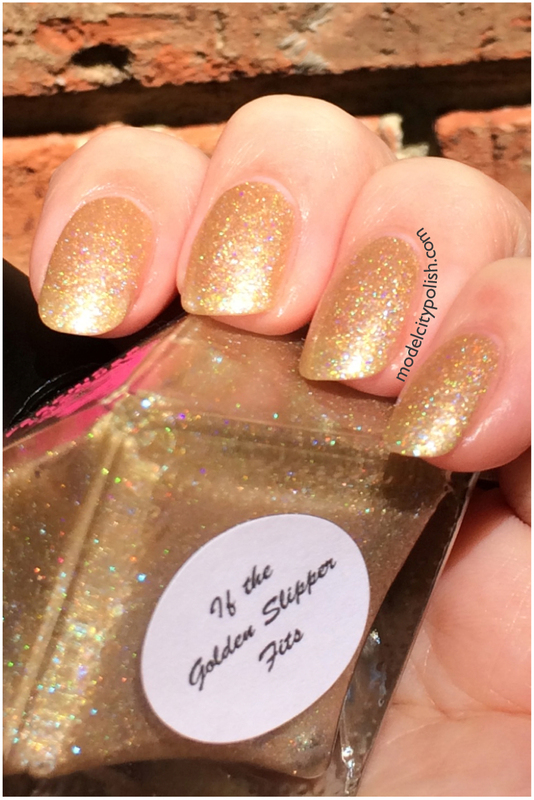 In my photos I am wearing four coats of If the Golden Slipper Fits and one coat of Marvel Top Coat. 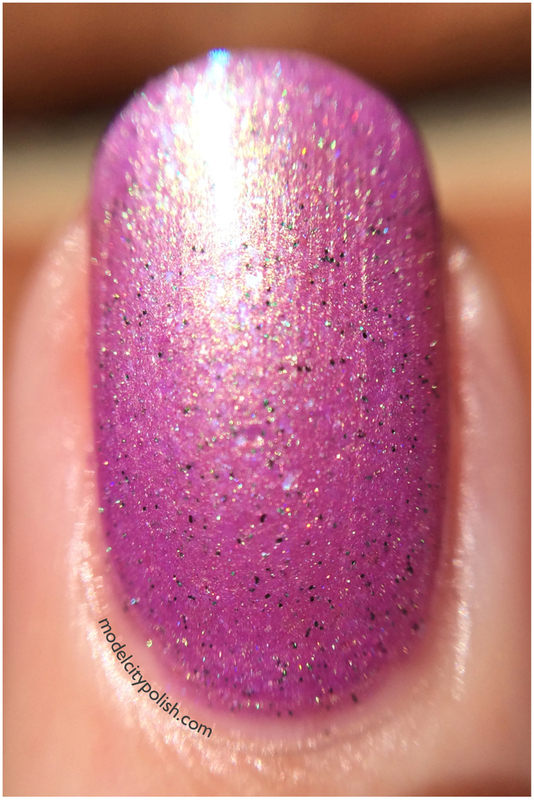 Last photo out of focus to show the shimmer better. Next up is a favorite for sure, Little Vampy Riding Hood. 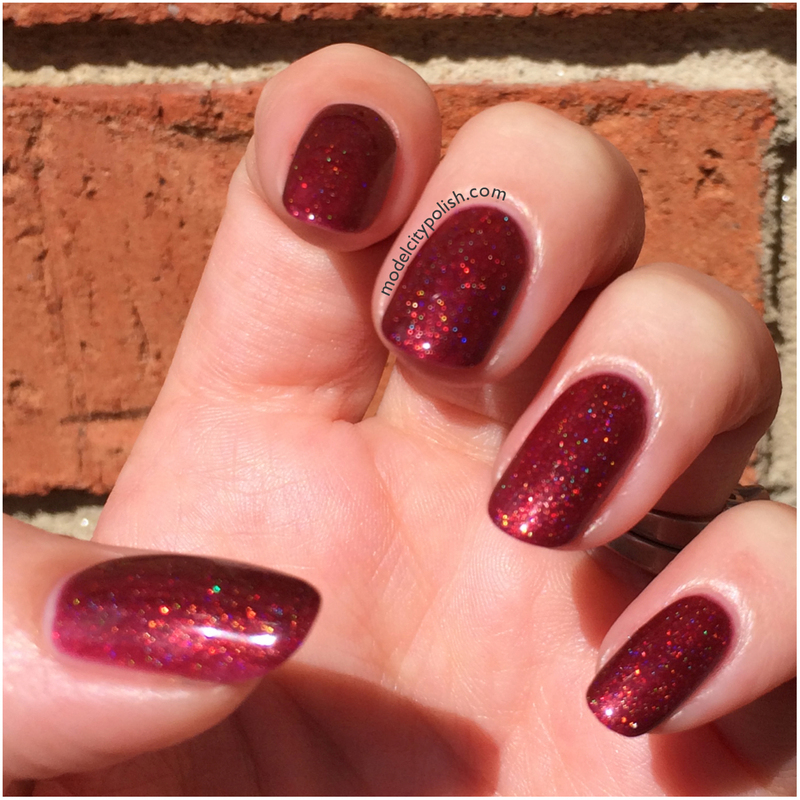 This is a rich oxblood red base embellished with strong copper iridescence shimmer and holographic effects. 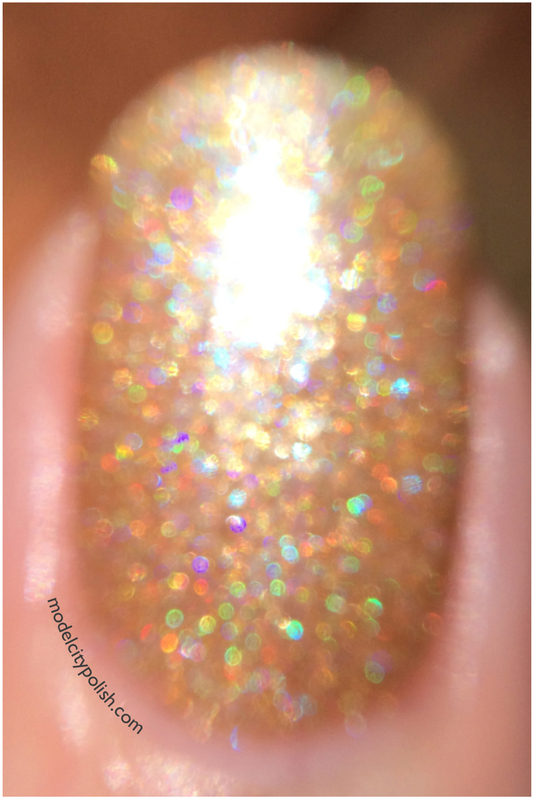 I just loved the richness and shimmer. If this doesn’t say fall then I don’t know what would. 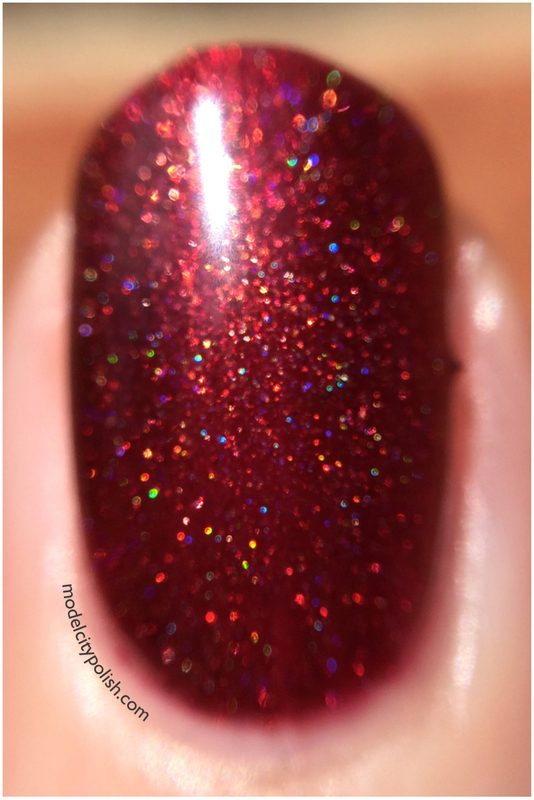 In my photos I am wearing three coats of Little Vampy Riding Hood and one coat of Marvel Top Coat. Lastly is Fumbling Fairytales. 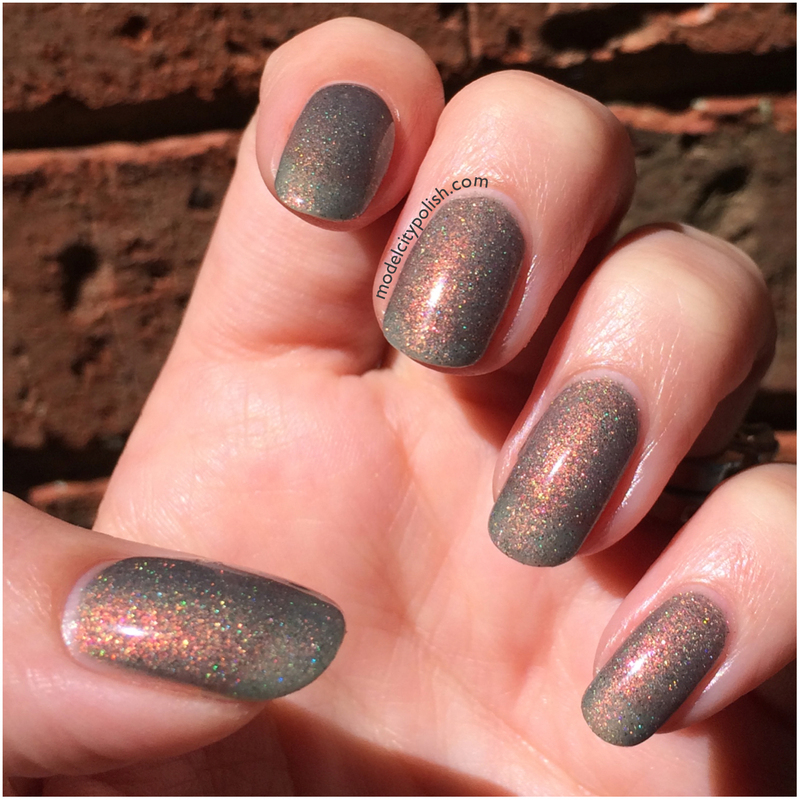 This is a vibrant violet base with strong contrasting golden green chrome & iridescent, subtle holographic and green shimmer. Application was flawless and the color is so delicate. 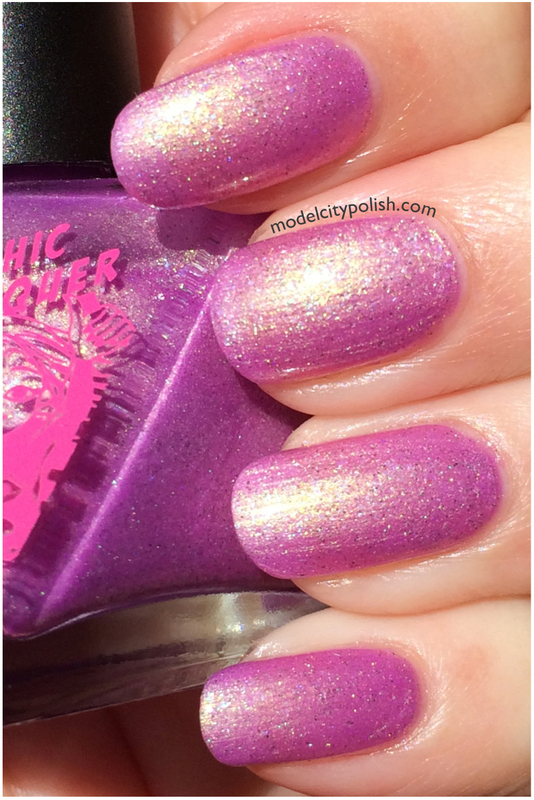 In my photos I am wearing three coats of Fumbling Fairytales and one coat of Marvel Top Coat. 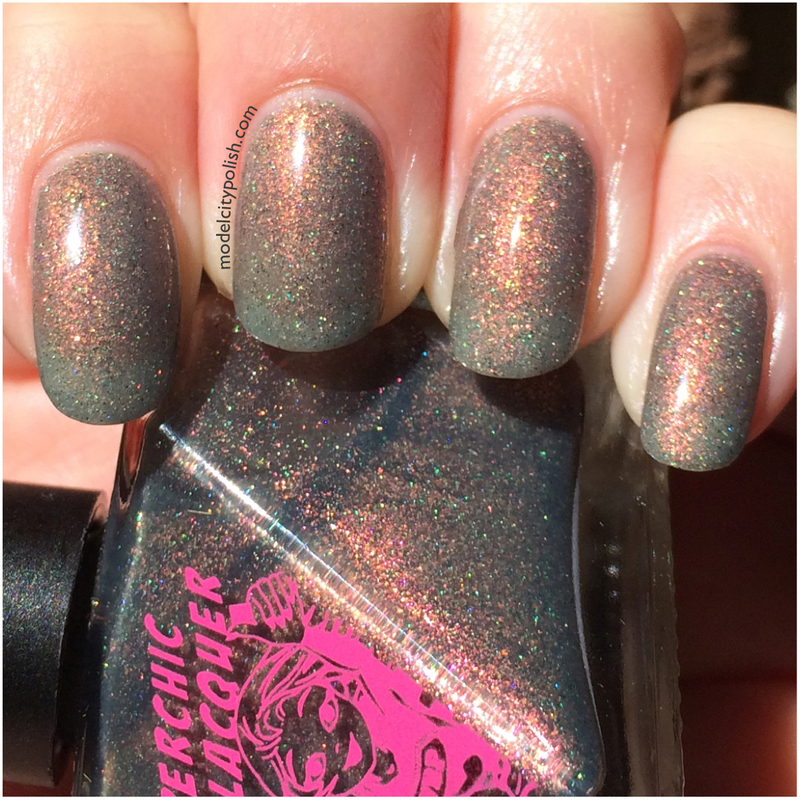 So what do you guys think of the second half of the new Into the Woods Collection from SuperChic Lacquer? I am in love with all of it, the formula, finish, and colors. 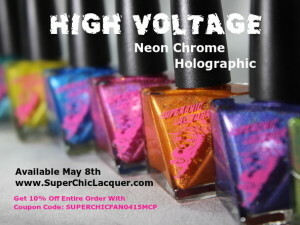 Remember these beauties will be available on Sept 1st at SuperChic Lacquer. 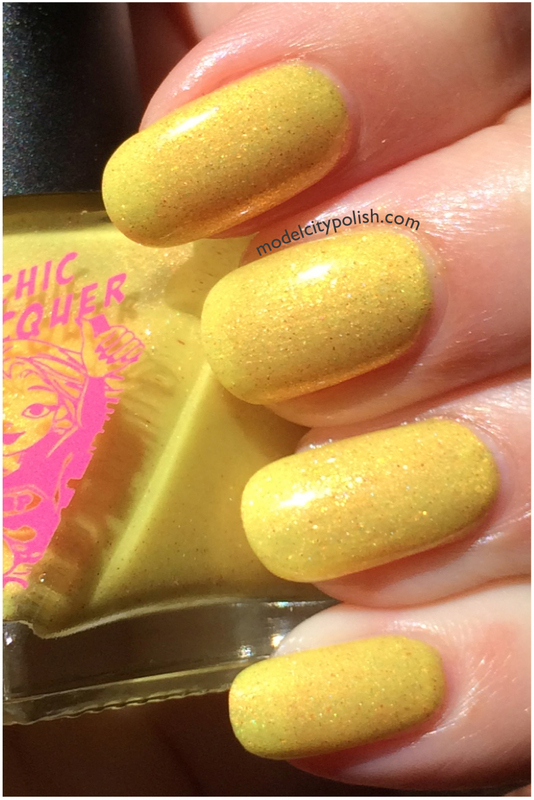 Until then you can follow SuperChic Lacquer on Facebook, Instagram, Twitter, and YouTube. 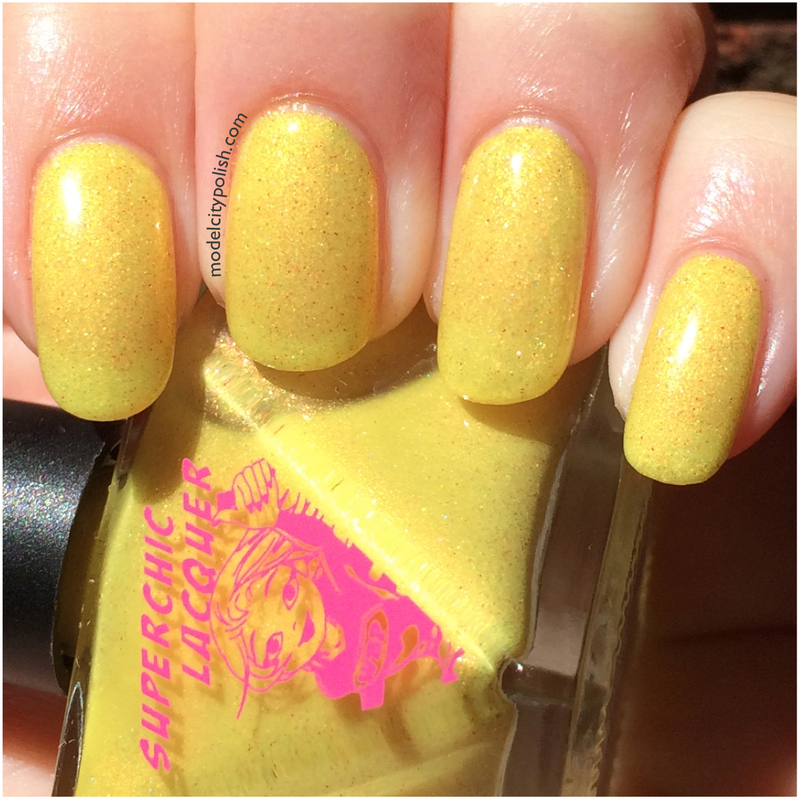 Before you leave today be sure to comment below and get those extra entries in the Two Year Anniversary Giveaway for your chance to win tons of great prizes, including a prize pack from Superchic Lacquer. Thank you so much for stopping by today and I look forward to seeing you all again tomorrow. 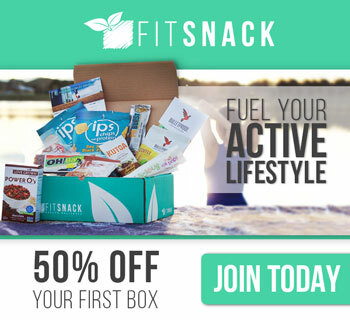 These products were sent to me for review but that does not influence my opinion or review. Mmm, Little Vampy Riding Hood!